A new study offers encouraging news to expectant mothers and their families about finding resilience during this very challenging time. When it comes to giving birth, even an expectant mother can’t be sure what to expect. Although labor for some women is relatively short and the extreme pain passes quickly, the equal possibility of having to suffer through a long and excruciating delivery can loom large in the expectant mother’s mind. As a result, many women are fearful of the whole prospect of bringing a child into the world. Many wouldn’t even consider giving birth without pain medication while others would prefer having a Cesarean birth. Few people know better about how expectant moms, their partners, and their families feel about birth than Nancy Bardacke. A longtime nurse-midwife and mindfulness meditation teacher, Bardacke decided to merge childbirth education with mindfulness practice after attending a Mindfulness-Based Stress Reduction (MBSR) training retreat for health professionals led by Jon Kabat-Zinn several decades ago. In 1998, she gave birth to the Mindfulness-Based Childbirth and Parenting (MBCP) program, and in 2012 her book Mindful Birthing: Training the Mind, Body and Heart for Childbirth and Beyond was published. It became an instant classic that has already been translated into five languages, including Turkish and Romanian. An edition for readers in China, where interest in the program is growing rapidly, will be published in 2018. Now, the results of a small study add to the growing body of evidence of the effectiveness of bringing mindfulness to expectant women and their partners. The study, published in the journal BMC Pregnancy and Childbirth, shows that mindfulness training that addresses fear and pain during childbirth improves childbirth experiences and lessens depression symptoms both during pregnancy and in the early postpartum period compared with childbirth classes without mindfulness training. There was also a trend toward decreased opioid use during labor in the study group. The study was conducted by MBCP Faculty Member Larissa Duncan, PhD, who is the Elizabeth C. Davies Chair in Child and Family Well-Being and Associate Professor of Human Development & Family Studies and Family Medicine & Community Health at the University of Wisconsin–Madison. Drawing on the mindfulness practices taught in the 9-week MBCP course Bardacke developed, the study focused on an 18-hour intensive weekend mindfulness workshop, The Mind in Labor, taught by Bardacke to 30 first-time mothers and their partners. Women with no prior formal mindfulness meditation experience were recruited based on their worries about the pain of childbirth. 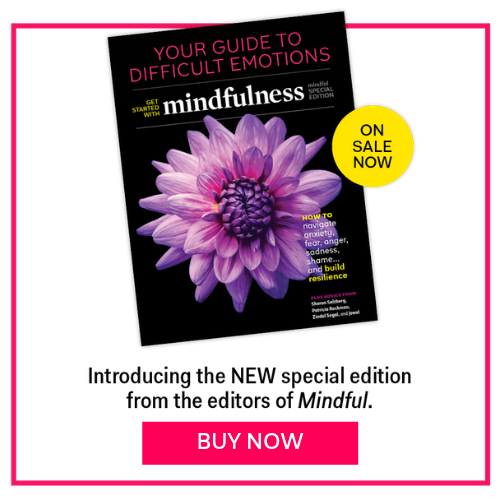 This web extra provides additional information related to an article titled, “Reducing the Fear of Giving Birth,” which appeared in the October 2017 issue of Mindful magazine.